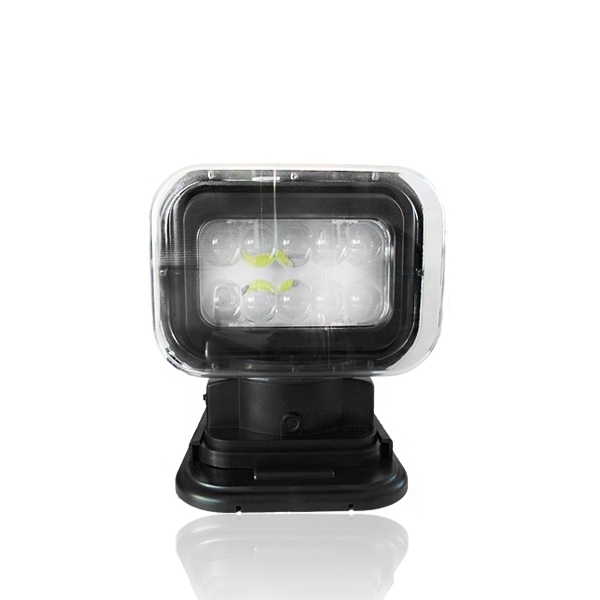 The Cree LED LMS Search floodlight 50 Watt 12-24 Volt with a remote control is ideal for your car, your boat or anywhere else that you would like to place it for a control. The headlamp rotates 360 ° around the body and its lenses rotate also 120 ° up and down. You can connect it with the lighter of your car and with the help of the magnet that is built into the floodlight you can adjust it on the top of the car easy and fast.